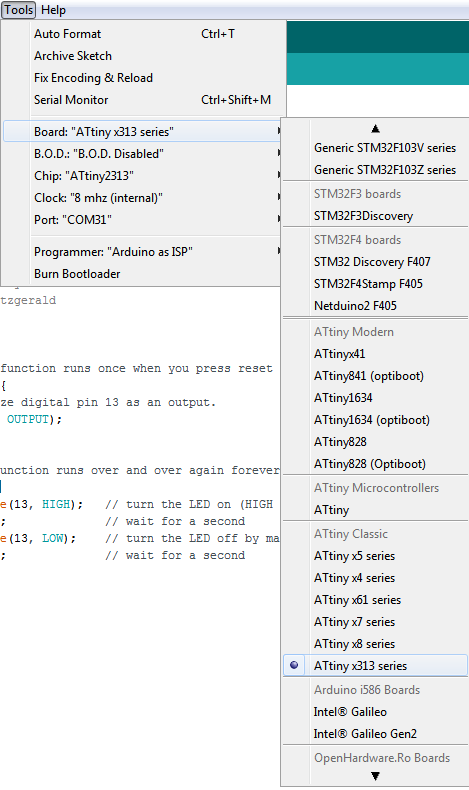 This is the second part of setting up an Arduino to program an Attiny microcontroller, in the previous parts we added support for the variety of microcontrollers. 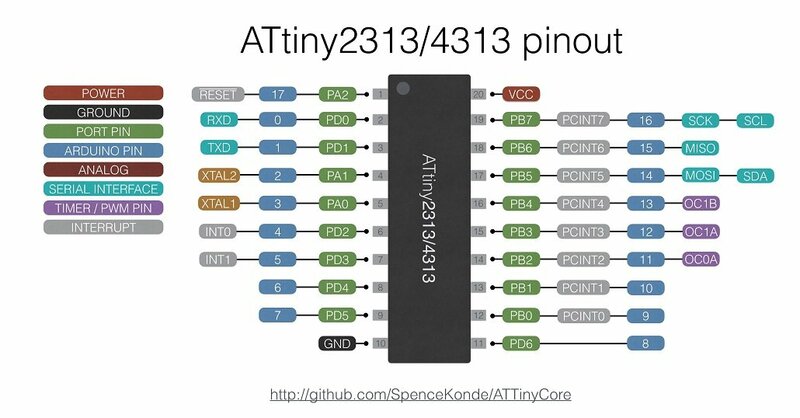 For reference purposes this is what the Attiny2313 will be like when you do this, the pins and the corresponding Arduino pins are shown below, as you can see you still get 16 I/O pins, I2C capabilities, 3 PWM pins and a serial interface for communications. The diagram does not show the LED we connected to test with, this was connected to pin 7. 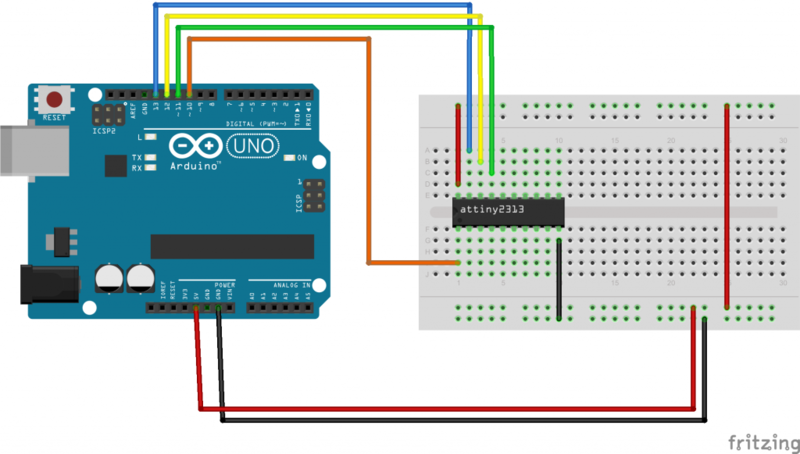 Open the ArduinoISP program and upload the ArduinoISP program to the Arduino board to turn it into an ISP programmer.